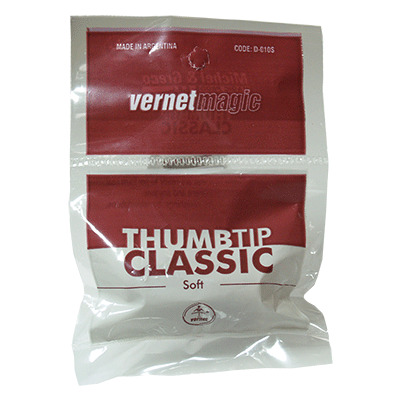 This is the classic Vernet thumb tip. 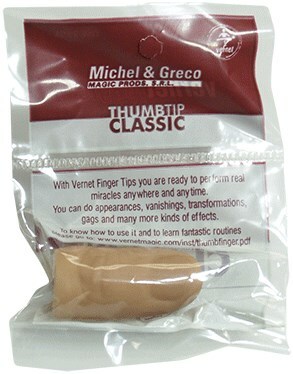 The Vernet Thumb Tip Classic is one of the most useful items in magic that allows you to perform miracle effects. It can be used in close-up, parlor, stage magic or mentalism. You can do vanishes, appearances, productions, transformations and restorations. It's perfect for amateurs and professionals.